“FAMINE” Five years of storytelling have led to this! 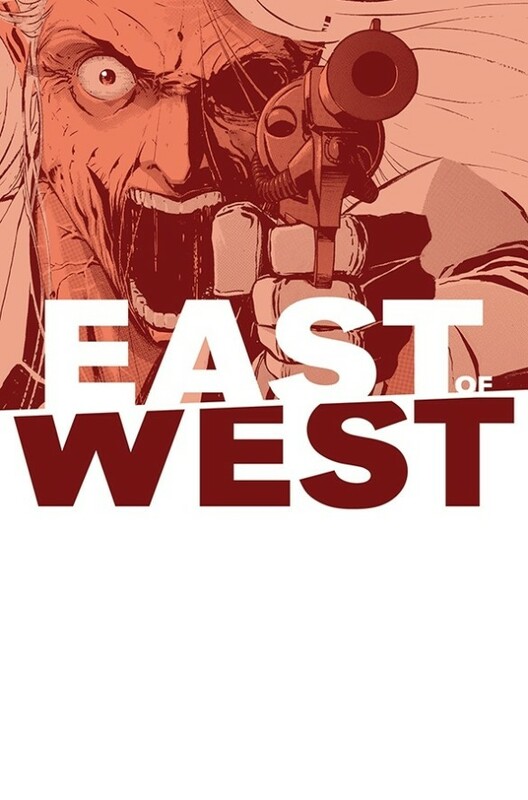 The final arc of EAST OF WEST begins now. You wanted the End Times—well, here they come! HOLLYWOOD NEWS! Amazon Studios has put in development as an hour-long genre drama series from Jonathan Hickman and Nick Dragotta. They are teaming with Robert Kirkman who will executive produce via Skybound Entertainment’s first-look deal. The show will be created and executive produced by Hickman and Nick Dragotta and written by Hickman. Also executive producing alongside Skybound’s Kirkman will be Dave Alpert, Sean Furst, and Bryan Furst (Dice).